Dear GUEST, Thank you for taking the time to review us on AGODA.com.! We really appreciate your wonderful comments and we always try to provide the best of hospitality experience to our guests. Thank you again, and we look forward to seeing you on your next trip to DELHI NCR. Regards..!! 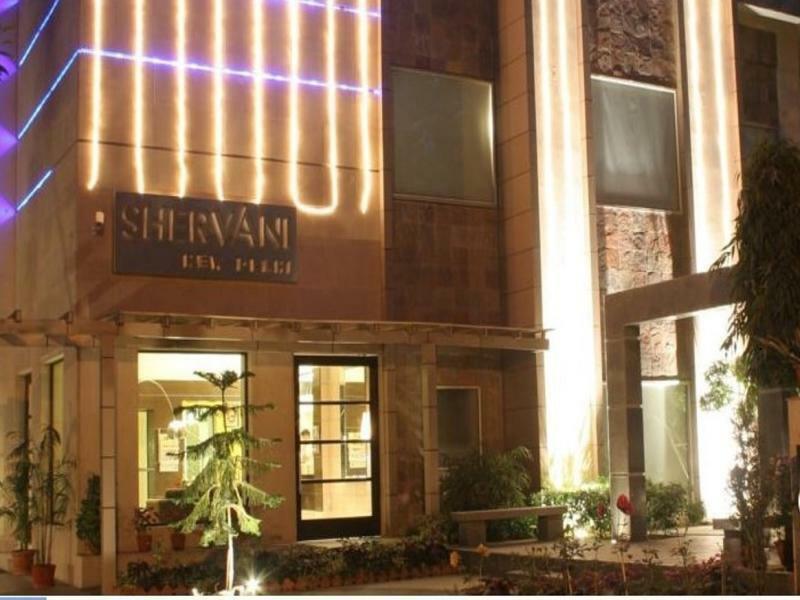 Team Shervani. Felt like home, the hotel decor was good, plenty of space to sit, lie down, put luggage down, even put an extra bed in. It's not next to any mall or metro station etc, but you can find auto-rickshaws easily, or you can book a cab. Also felt very secure. this incident is the only time I check on arrival, because i feel the hotel and room condition is not suppose to cost what I paid for. For instance there a lot of mosquitoes in the room and I have to spray 1 can/day because these insect is too strong they keep coming back next day until checkout date... swear to god I spend 5 various cans of mosquitoes spay during our stay and still got bites. I am in the middle of the job and I have no time to change hotel. staffs was so greedy to changed more than Agodas stated for additional person, its like 4 times more expensive to pay on spot. Not bad, near to event location and friendly staff. It's a great hotel. The waiters are polite and quiet, and walk for 10 minutes to the gate of India. Next to the zoo, can eat in the hotel restaurant, the taste is very good! We are satisfied! had a room on the ground floor, wifi signal was poor and couldn't change any India Rupees during my stay...was asked for proof of payment despite paying in full via Agoda.com. The only saving grace was they allowed me to check out 1 hour later than the usual requirement. Quiet, genteel location close to Purana Qila and Zoo and about 2 km from Khan Market and about same distance from Nizamuddin Railway Station. 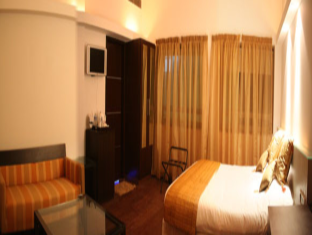 location is near india gate, bed is comfortable, Restaurant around hotel is few. hotel only can provide india food. decent stay. breakfast got old as not much variety and we stayed for 5 nights. staff didn't understand the requests made. hotel driver was rip off wanted whole days payment when we only requested for 4 hours. This is the first time to be New Delhi. I found the city not clean at all but the hotel was absolutely clean. Shervani is near the India gate and at the other side of the street is an old mosque which is the indian historical site.This place was very quite in the all day and belonged to the very rich in New Delhi.The breakfast was good and dinner great.the only dissatisfied is the air conditioner in the room:lound and couldn't be adjusted the fan speed. 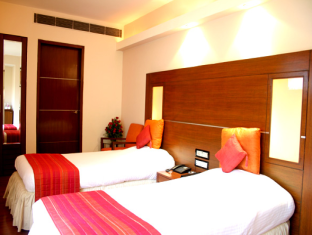 The hotel is a very wel kept, with spotlessly clean air conditioned rooms that are very nicely decorated. It is located in a quiet residential area in the South of Delhi, which I liked a lot because it gives visitors some peace after a busy day in the hectic hustle and bustle of Delhi, while on the other hand it is close to some major sights (Purana Quila, Humayun tomb, Lodhi Gardens) and some upmarket shopping (Sunder Nagar market). The breakfast is also nice, the staff are very friendly, the restaurant serves good food. Overall, a very good choie and excellent value for money. Since the hotel is located in a gated community it is extremely quiet - no traffic noise at all. The hotel is very small and cosy and has a very good restaurant. It was not the standard I was expecting although this 2nd visit I did have a better room. WIFI free and good. 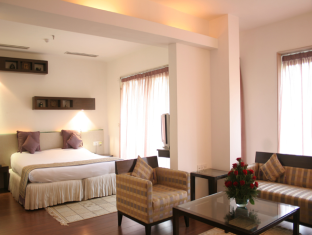 stayed there for 5 nights, the service was good, perfect location in New Delhi, good price. สถานีรถไฟใต้ดิน Khan Market - ระยะ 1.33 กม.